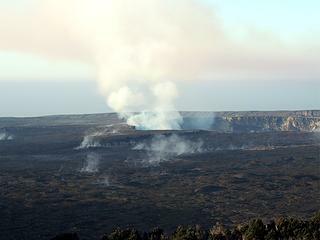 I live on the Big Island now after spending most of my life in the PNW. I can't compare the two locations because they are so different and yet so beautiful. All I can say is if possible, you should visit here and see how amazing this place is as well. 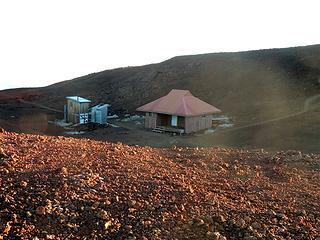 Red Hill cabin is a true cabin located at 10,000' elevation on Mauna Loa. 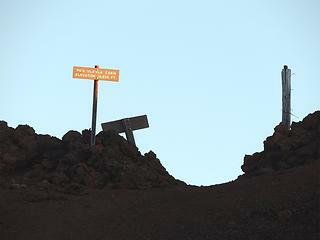 The trail starts at the end of the Mauna Loa Road at about 6,500'elevation. The trail covers about 7 miles one way and is rigorous. Partly so because of the elevation, but also because of the terrain. 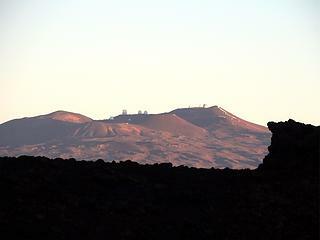 It is almost totally exposed to the sun and it covers many types of Lava to walk over. There is no water available anywhere along the trail, but catchment water collected from the cabin roof is available at the cabin. 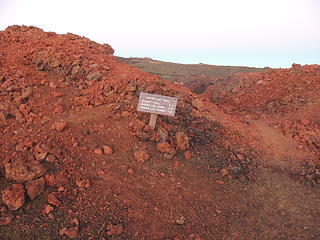 All along the route you see views down to the ocean and the Kilauea Volcano. At the trailhead there are some sparse trees but as you ascend, you get above treeline. 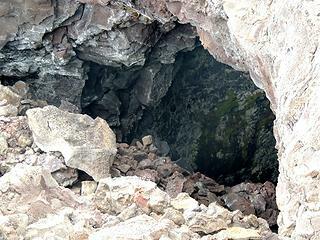 In several places along the trail you see and walk over Lava Tubes or caves once filled with flowing molten lava. In some places, the roof of the tube has collapsed allowing you to see both ends of the tube as it descends underground. I suggest you plan on doing this trailas abackpack, but strong hearty people can do it as a day hike, but carry lots of water, sunscreen and a strong will. 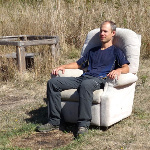 I did this hike, and a little beyond, a few years ago. It was like being on another planet. Hope to return some day with overnight gear and reach the summit. The 40 mile round trip and 7000' gain has been done in a day which is crazy given how rugged the a'a is in the lower section. 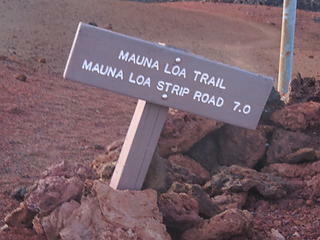 Sweet .. only driven up to Mauna Kea which was pretty surreal as well. Very strong walk! 1st visit this winter for me. I nominate that sharp, broken, loose, clinker rock as most unfriendly walking surface ever. 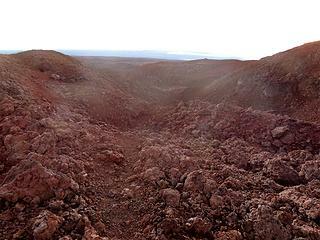 And the moonscape...you get that feel from several of your pics.